Some viruses can persistently infect their host indefinitely, without doing any particular damage. On the other hand, the same virus can infect a different host species and cause devastating harm. Why? The obvious answer is that the virus has become adapted to the first host, but not the second. Leaving aside the question of whether that actually means anything helpful, I’ve previously pointed out that it’s actually not all that common for a virus to evolve toward reduced virulence, and probably needs a very specific set of host/pathogen interactions to work. The next most obvious answer is that the host has adapted to the virus. What might that mean, mechanistically? And is it something we can take advantage of clinically? 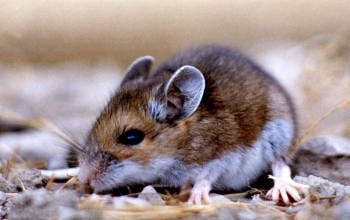 The hantavirus family include viruses that infect rodents, such as such as Sin Nombre virus,1 which normally infects deer mice, and Seoul virus, which normally infects Norway rats. 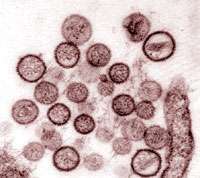 These viruses usually cause a persistent infection, and their rodent hosts show little if any disease; but occasionally the viruses can jump into humans, and in humans hantavirus diseases are often pretty severe. Presumably the rodents and their viruses have evolved some kind of arrangement that allows persistent infection without a lot of disease, and humans lack that adaptation. Two recent papers2 show how that works, though I think there are some interesting questions still open. 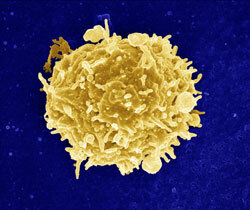 Both papers found that regulatory T cells, affectionately known as TRegs, are responsible for the viral persistence. TRegs are one of the immunological flavours of the month, or even of the past few years. There’s a kind of amusing history to TRegs that I won’t go into here that led to an embarrassed silence on the subject for a few years in the 1990s, but recently they’ve been implicated in more and more interesting stuff. In general, you need TRegs to balance the pro-inflammatory side of the immune system: people and mice lacking TRegs have massive, lethal, autoimmune disease. It turns out that mice infected with Sin Nombre virus, and rats infected with Seoul virus, have elevated TRegs. In the rats at least3 removing TRegs reduced the viral load. So apparently, one reason the hantaviruses are able to persist, is that their hosts turn on a TReg response when they’re infected; that reduces the inflammatory response to the virus (that’s what TRegs do), so the immune system doesn’t eliminate it. Hantaviruses themselves are non-cytopathic, meaning they don’t directly kill cells — disease associated with hantavirus infection is probably mainly because of the immune response killing infected cells. For example, when humans are infected with hantaviruses, they can develop cardiopulmonary syndrome and hemorrhagic fever with renal syndrome. These are diseases of excessive inflammation. By increasing their TReg responses, rodents suppress immune-mediated killing of the infected cells, and prevent this sort of immune-mediated disease. 4 The virus can persist because the immune response is quiet, but it doesn’t cause disease, because the immune response is quiet. Is this something we might consider pursuing with human infections? Not just with hantaviruses: What about other persistent viruses like hepatitis C virus (HCV), or even HIV? Remember that simian immunodeficiency virus in its natural host (say, sooty mangabeys) is a persistent virus that doesn’t cause disease, but in non-natural hosts (like rhesus macaques) it causes a progressive disease. Could this be because TRegs prevent immune-mediated disease and let SIV persist harmlessly in their natural host? Could upregulating TRegs cure AIDS? This is one of those things where there’s no simple answer. It turns out that HCV,5 HIV,6 and SIV7 in macaques are all already good at upregulating TRegs. In all likelihood that’s one of the reasons they can establish a persistent infection in the first place. On the other hand, TRegs can do good as well as the opposite.8 Even though having too many TRegs lets HCV establish infection, once the infection is under way the TRegs seem to reduce the damage associated with the infection; like hantavirus infections in rodents. The whole thing is very complicated, 9 and probably is very dependent on the fine details, location, and timing of the host/virus interaction. It’s definitely not a panacea. Still, it’s worth looking at more, to try to understand what the important details are, in the hope that this powerful system can eventually become a tool in the clinics.